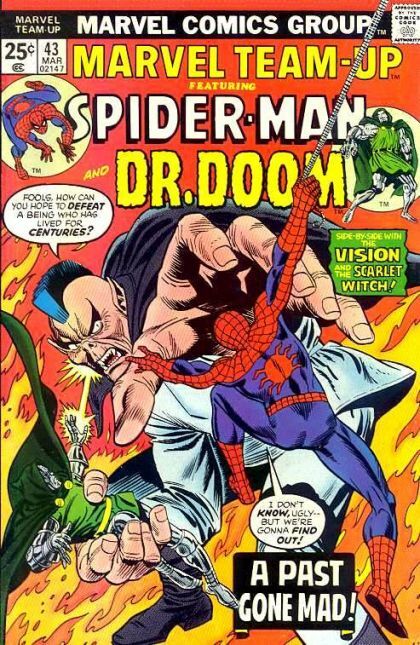 Spider-Man and Dr. Doom: A Past Gone Mad! The heroes have no choice but to team up with Doctor Doom if they hope to save the future as they know it. Sadly, their opponent seems able to absorb everything they throw at him and hurl it right back at them.